The memorial service for Walter “Sonny” Schwendemann, of Starbuck, Minnesota will be held on Monday, November 26, 2018 at 10:30 a.m. at Immanuel Lutheran Church near Starbuck, with Reverend Paul Johnson officiating. Visitation will be on Sunday from 2 to 4 p.m. at the Starbuck Funeral Home in Starbuck, and Monday, one hour prior to services at the church. Burial will be at the Immanuel Lutheran Church Cemetery, Starbuck. Walter “Sonny” Lawrence Schwendemann, son of Walter A. and Sophie (Voxland) Schwendemann was born on February 28, 1930 in Walden Township, in Pope County Minnesota. He was baptized at St. John’s Lutheran Church in Hancock, by Reverend Hempeck and confirmed at Immanuel Lutheran Church, near Starbuck, by Reverend G.O. Forde. Sonny attended country school at District #36. After his schooling, he began farming with his father. Sonny was united in marriage to Dagny Brevig on September 6, 1952, at Immanuel Lutheran Church, by Rev. Forde. The couple made their home on the farm next to Sonny’s parents and continued to farm. In 1968, Walter A. retired and Sonny and Dagny moved to the family farm. In 1988, the couple retired and moved into Starbuck; in 2017, Sonny and Dagny moved in to Holly Ridge Apartments. Sonny was a member of the Immanuel Lutheran Church. He enjoyed visiting the “Card Room” in Starbuck, playing cards and shooting the breeze. Sonny could fix anything; however, it may have been mended with duct tape, baling twine, or wire fence. Sonny’s favorite times were spent with his grandchildren. 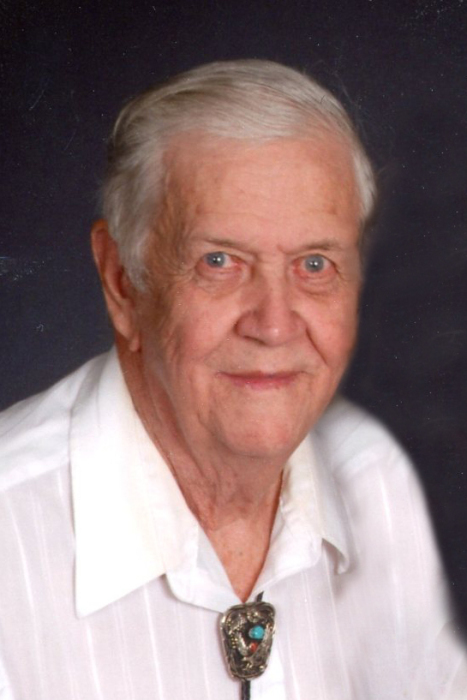 Sonny died on Monday, November 19, 2018, under the care of Glacial Ridge Hospice at the Minnewaska Lutheran Home in Starbuck. He was 88 years old. He is survived by his wife: Dagny, Starbuck, MN; four sons: Jon Schwendemann, Dan (Darla) Schwendemann, and David Schwendemann, all of Starbuck, MN, and Glen (Nella) Schwendemann, Simpsonville, SC; two daughters: Nancy (Tim) Swanson, Cold Spring, MN, and Jane Kluver, Alexandria, MN; two brothers-in-law: Marvin Pochardt, Starbuck, MN, and Andrew Brevig, Herman, MN; thirteen grandchildren and twelve great-grandchildren. Sonny was preceded in death by his parents, one daughter, Susan Schwendemann, one granddaughter, Laura Schwendemann, one sister, Beverly Pochardt, three sisters-in-law, Adeline Foss, Ruth West and Carol Brevig, and one brother-in-law, Esten Foss. Starbuck Funeral Home is in charge of the funeral arrangements. An online guest book can be signed at www.starbuckfh.com.